This story was told to me by a good friend who retired as a Deputy Chief. He calls it his day in Hell. 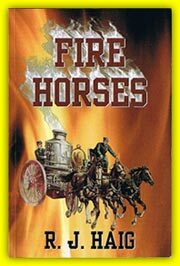 I must preface this tale with some description of Engine 29s fire district. The fire house is located on West Jefferson. It is a gritty neighborhood with a mix of industrial complexes and small, turn of the century, homes. The people are a melting pot of Hungarians, Poles, Gypsies, and African Americans. The area is isolated by the Detroit River, the Rouge River, the Zug River, and a busy section of railroad tracks. The view from Engine 29s front door is a spectacular vista of smoke belching chimneys that belong to the foundries and steel plants on Zug Island. The odors in the air are a mix of chlorine from the sewage disposal factory, tar belonging to the asphalt plant, and the smell of decaying animal fat at Wayne Soap. The citizens living here are hardy, volatile, and sometimes a little strange. A day at Engine 29 can be quite an experience for the uninitiated. The following story was about my friend’s first detail to Engine 29. These are his words. I arrived at work at 6:35 AM. I was detailed in from another company to drive Engine 29 that day. I had worked at other stations in the 7th but this was my first trip to E-29. I heard stories about this place and most of them were bad. Pulling my gear out of my car I saw the big front door open. A tall unkempt skinny man waved as he crossed in front of the engine heading upstairs to clean up. I signed in, put my stuff on the rig, and proceeded to the kitchen. When I came through the door an ugly one eared cat arose from a box next to the stove. The cat hissed at me and hunched his back. He walked to the outside door and stared at me. There I saw a man in a light blue officer’s shirt slumped in a chair. He had a three day beard; several teeth were missing, and his hair hung over his eyes. He smiled and said, “You must be the driver.” I answered yes as the hairs on my neck started to rise. I couldn’t believe that this was the company officer who would be my boss for the day. He looked like the geek in the hold of the ship that brought Count Dracula from Transylvania. As we talked I soon found out this guy was a local kid who hung out at the fire house. His name was Howard. I had a cup of coffee. Suddenly there was a commotion out at the watch desk. I went to see what was happening. I found two huge men going nose to nose in a heated argument over who was up for the detail out to another company. The words were hot and heavy and the detail book was brought out. It had so many erasures and unreadable entries it was impossible to read. We discovered finally that neither had taken a detail in over three months. The men were still arguing when I went back to the kitchen. I found out these guys were the legendary Big Bill and Peter Paul of E-29 folk lore. The outside phone rang. It was our boss he identified himself as Benny the Hook. He said he would be late because he had two on. I had no idea what that meant so I approached the two arguing men and relayed the message. The outside phone rang again. It was a man asking if the detail from E-29 had left the quarters yet. He said he was the Chief. He asked who I was and what was all that yelling and noise going on in the background. I told him about the argument over the detail and then asked why he was calling on the outside phone. Normal procedure is to conduct business on the department phone. After all I had six years on the job and it didn’t seem right. He told me that E-29s department phone hadn’t been in service for several months. He asked me who were the guys having the discussion about the detail. I told him it was Big Bill and Peter Paul. There was a long silence and the chief said, “Cancel the detail.” He slammed the phone down in my ear. About a quarter to eight I pulled the rig outside. I only moved the Engine a few feet because, the street, West Jefferson is right there only about twelve feet from the doors. I was busy checking the lights, fluids, and fuel when it happened. I was approached by a man on a motorcycle who asked me for money. I was going to laugh and maybe a fight would have started but I took a good look at him. He wore tattered blue jean cutoffs, tattoos, a scruffy beard, a red bandana tied around his long stringy hair and was riding a very loud Motto Guzzi bike. He had a huge commando knife strapped to his leg. He said, “Give me some money.” I could barely understand what he said. I forked over two bucks and with a wave of his hand he indicated he needed more. I gave him another dollar which he grabbed and roared off down West Jefferson in a cloud of smoke. I ran inside to call to call the police and Big Bill. asked what had gone on outside. I said I was robbed. Big Bill asked for a description. He started to laugh when I described my assailant. He said that was Charlie G. our cook. He wanted money for chow, apparently the other members of today’s crew paid by the month. That was good news but I was still a little unnerved by the encounter. After that fiasco things started to settle down. I finished washing the rig. Howard left the quarters and Harry K. (yesterday’s officer) came down stairs yelling for Peter Paul to get off the phone. He did so without question. It was almost 10Am and time to call in the picks for the days horse races. Benny the Hook showed up around 10:30 with a fist full of money and announced we would be going to Joey’s Stables for dinner. This was a notorious mobster hang out across from the cement factory. Benny grabbed Harry’s arm and both left for the Hardware store down the street. Charlie, the motorcycle guy, came back and we talked out our differences and I even helped him prepare our noon meal. The phone rang again. I had to navigate between the cars that were pulled in quarters before I could answer the call. The cars were being washed by Big Bill and Peter Paul. The two big men were friends again and were chatting happily with each other. I picked up the phone on the third ring and the caller said we had a run to the east side of West End 200 feet north of South. Figuring this was a crank call I said,” Sure,” and hung up. Now come on, I wasn’t born yesterday. Yeah right, I get a call on the outside phone with a location that has three directions. Big Bill asked me about the call and I repeated the location. He walked out the front doors, moved across the street, looked north and west, behind the fire house, and ran back shouting we got something. In less than a minute we were under way. We picked up Benny the Hook walking down the street with a bag in his arms as we moved down West Jefferson. When we turned up West End we saw smoke and flames engulfing a restaurant with apartments above. The location was 40 feet north of South on the East side of West End. I found a hydrant just off the corner and everything really went well. These characters I was riding with turned into very professional Firefighters. They quickly extinguished the fire. We were wrapping things up before the second ladder truck arrived on the scene. The day was far from over. After lunch I lay down on my bed in the dormitory and drifted off for about an hour. I awoke to find the outline of my head on my white pillow case. The rest of the case and my sheet were covered with some type of ash. I cleaned up and went down stairs. No one else had gone up or made a bed. The regulars knew about the fallout problem. They laughed and asked me to check out my car. My beautiful yellow Corvette was now a sickly gray. I pulled it inside and washed it back to its normal color. It was near evening and I saw Charlie, the motorcycle guy, out back talking to a group of girls crowded into a Cadillac convertible. Howard shows up and starts complaining that Charlie is trying to steal his girlfriends. The argument lasted about 10 minutes when Howard was dragged into the back seat of the Cadillac. The car squealed its wheels and took off with Howard yelling for all he was worth. About 6 PM the Chief’s car cruised by, popped his siren, and threw the department mail out the window. He barely slowed down. That was it. There were no more runs and most everyone was in bed by 10PM, All except Howard who magically returned and spent the rest of the night discussing women with Charlie. My day in Hell was over. It was another typical day in the 7th Battalion.